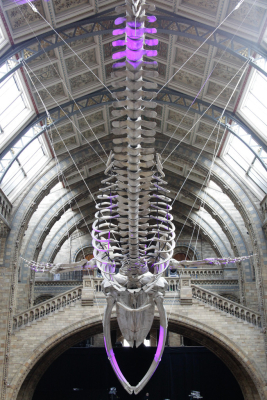 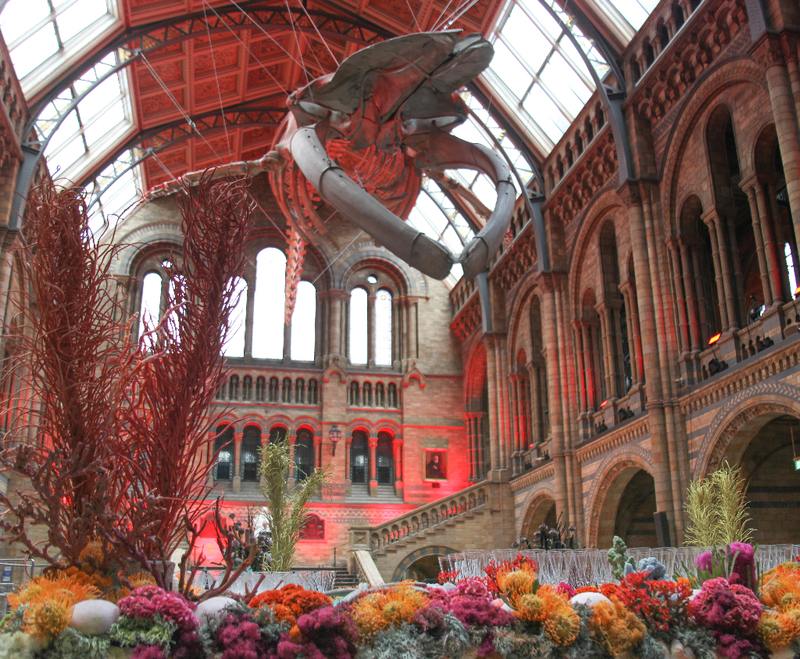 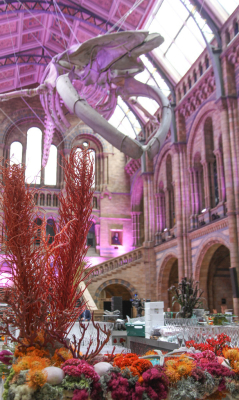 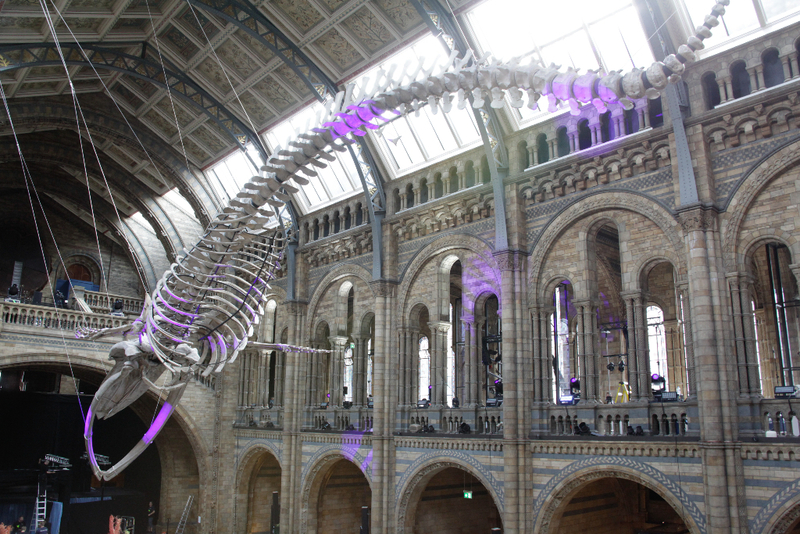 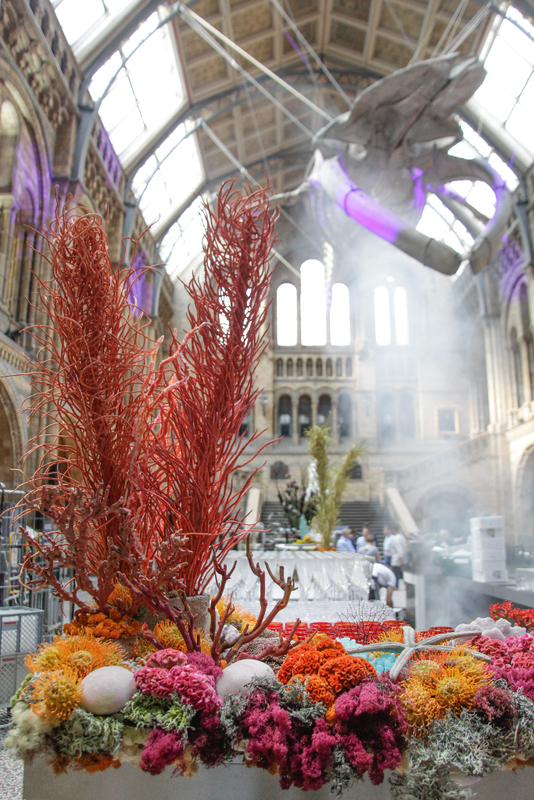 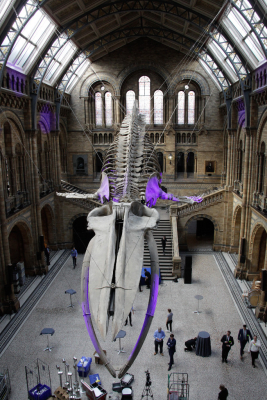 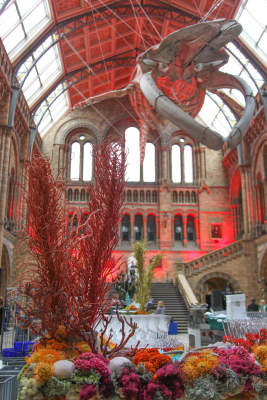 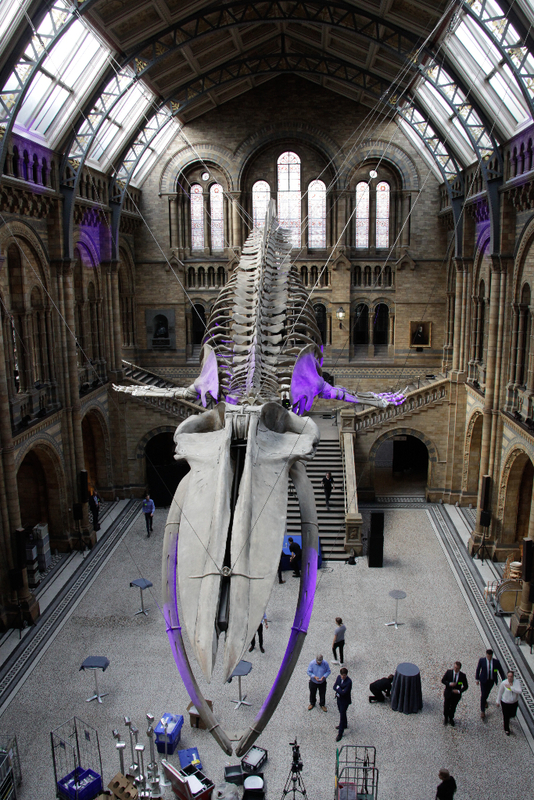 The Natural History Museum held a spectacular under-the-sea themed evening to welcome ‘Hope’ the blue whale to her new home in the magnificent Hintze Hall. 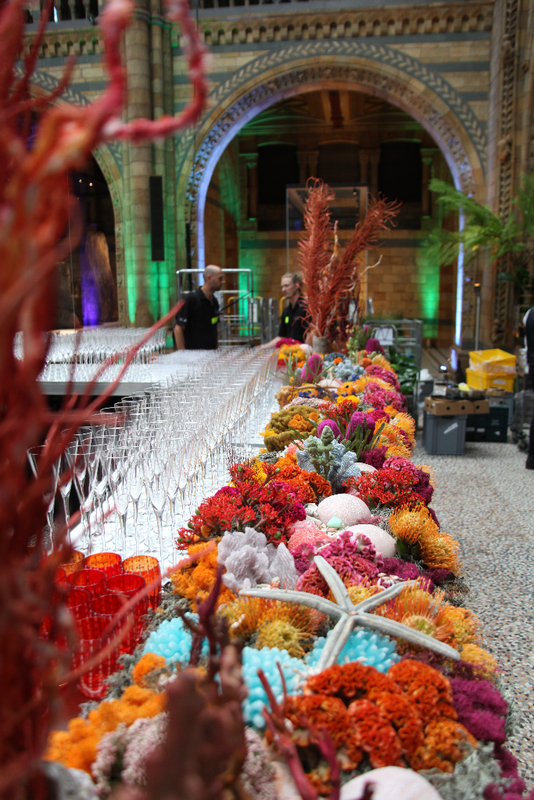 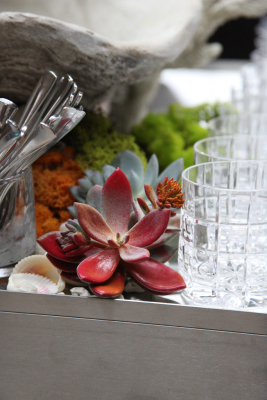 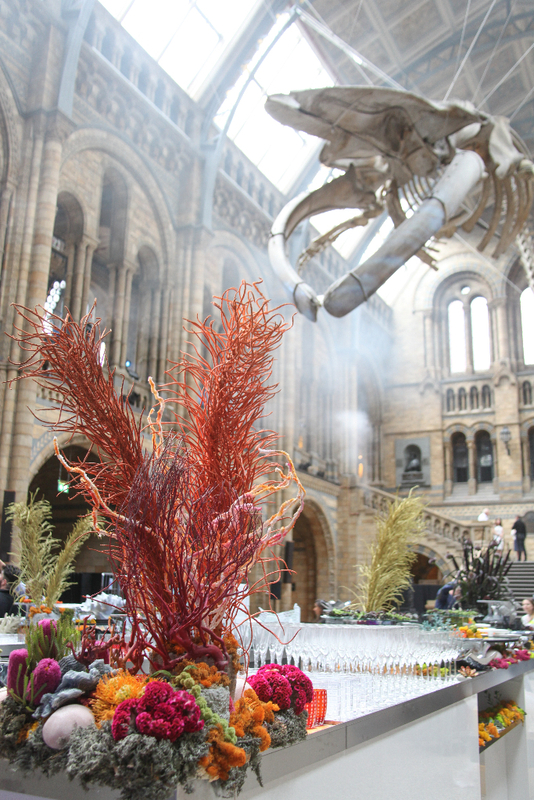 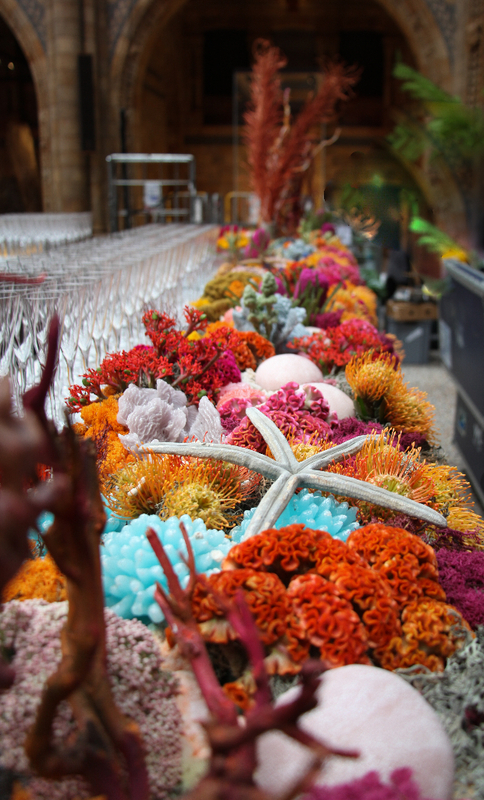 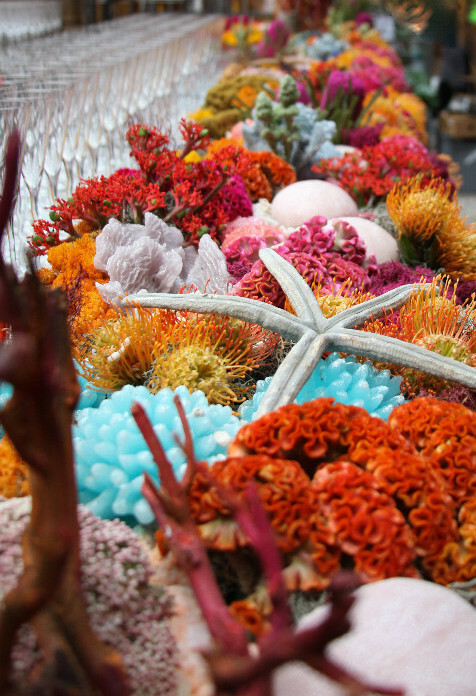 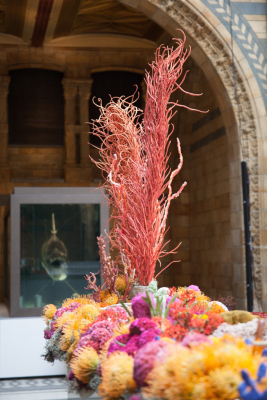 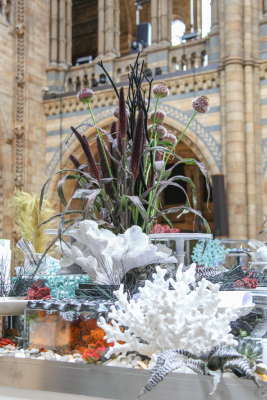 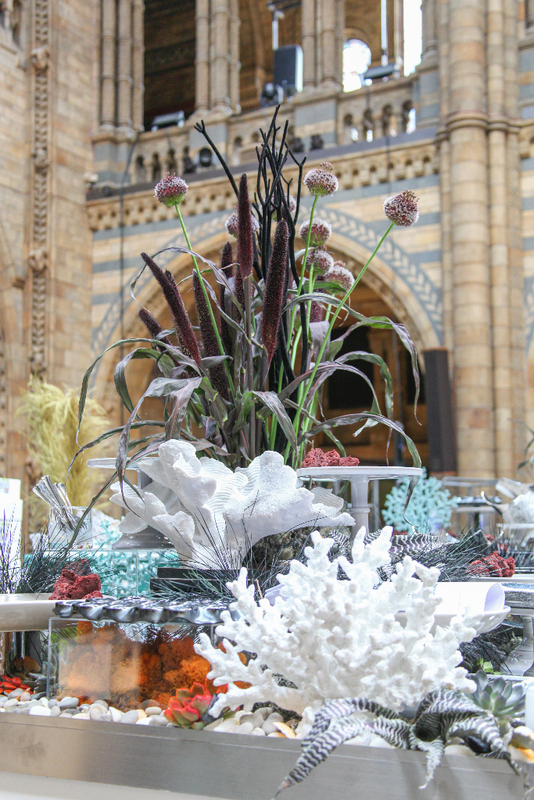 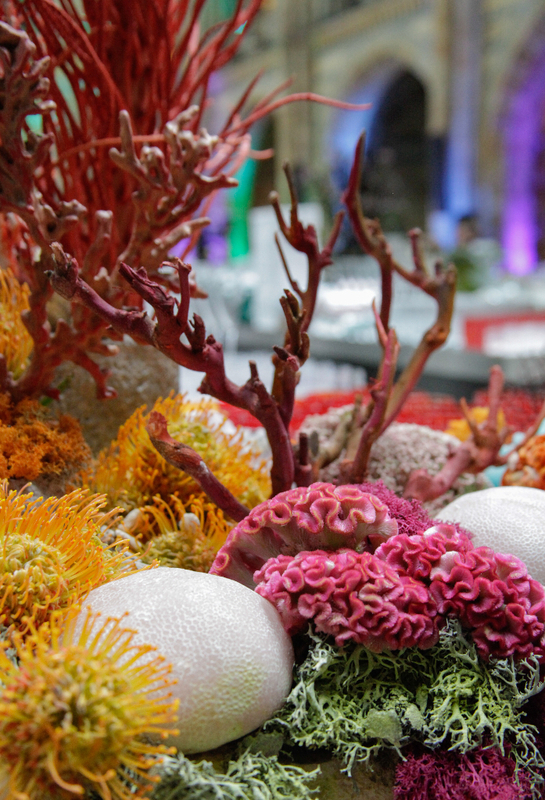 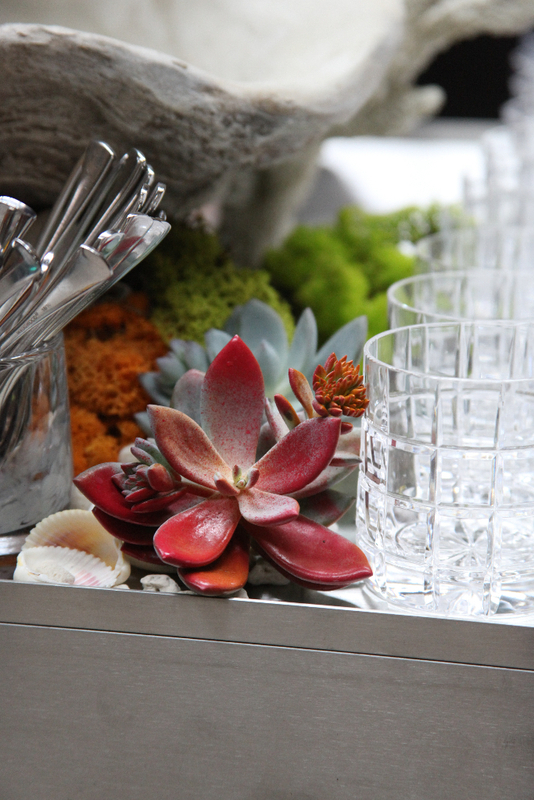 To complement the theme, and Rhubarb‘s show-stopping catering, we created a coral reef out of flowers and props that included celosia, protea, coral candles, starfish, allium & grasses. 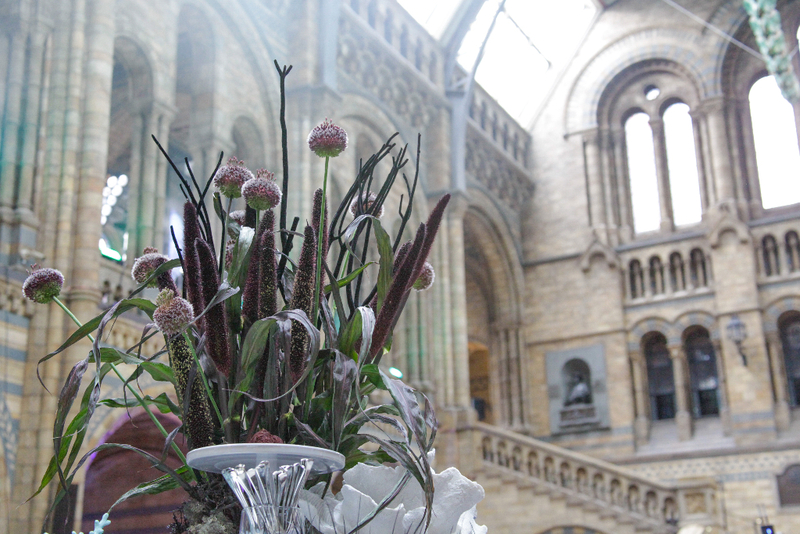 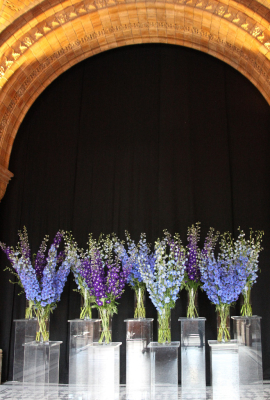 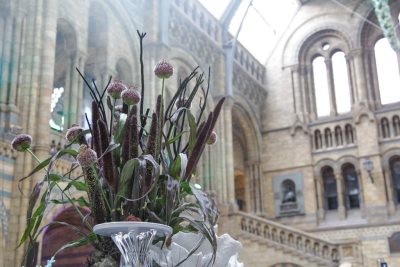 At the entrance, greeting the guests – which included Sir David Attenborough and HRH The Duchess of Cambridge – we placed a row of delphinium arrangements on glass plinths, that were framed perfectly by the stone arches of the museum. 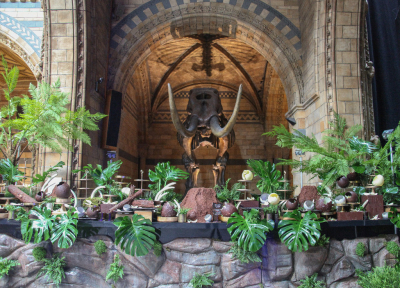 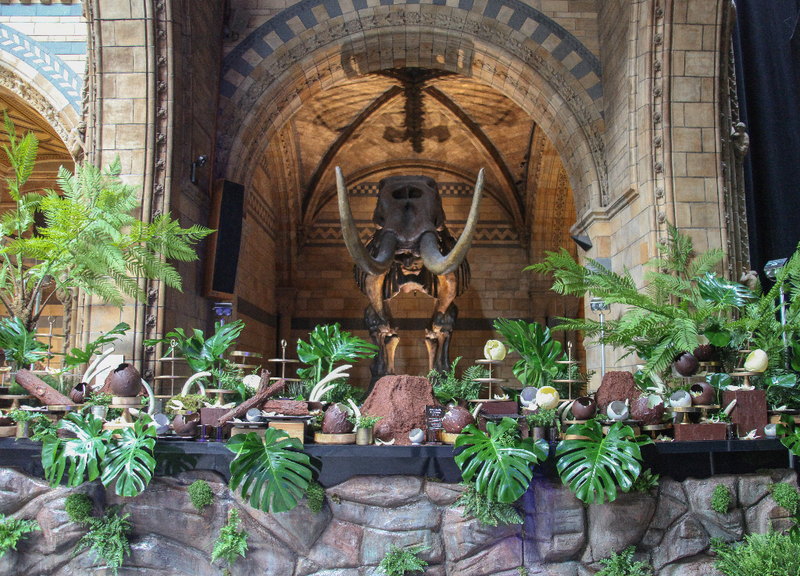 In addition, we added plants, leaves, grasses and other props to add to Rhubarb‘s fantastic chocolate fountain jungle and savannah food bar. 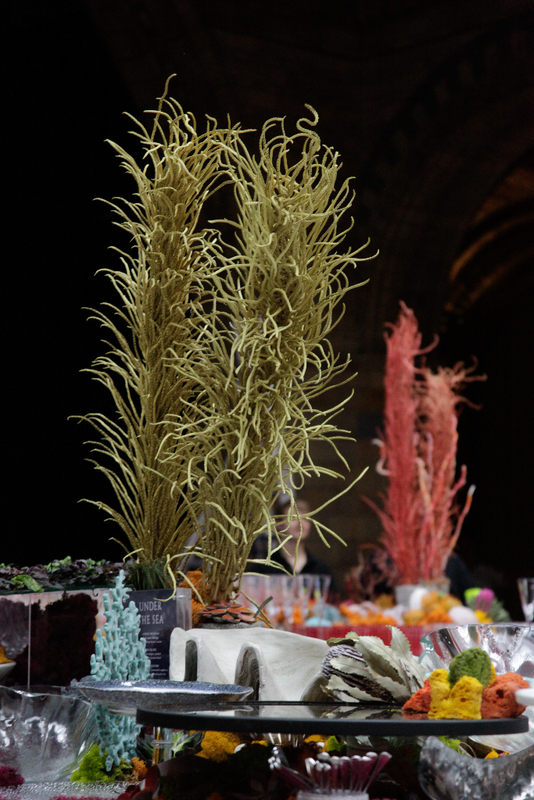 It was one of the most original – and fun – briefs we’ve ever had, and an absolute honour to work on. We really did have – (apologies for this pun in advance) – a WHALE of a time!